Cadillac. Say the name and everybody in the world knows what you're talking about. Pedigree, heritage, bling, and now--clout. Cadillac is now at the top of its game, and its new CTS-V models routinely either tie or beat out BMW and other luxury brands in head-to-head. CTS Coupe Perhaps no other model ini Cadillac's lineup speaks to the brand's resurgence more eloquently than the CTS Coupe. Its design shouts loud and clear that Cadillac once more has regained its brash, often brilliant styling voice and that the brand is more than willing to do something daring and ground breaking. The CTS Coupe, a four passenger car available in rear or all wheel drive, is striking for so many reasons. First, its angles and character lines are at once simple and complex. You never see quite the same sight, quite the same perspective when you see it. Light plays upon the surfaces in unusual, striking ways, making it just that much more fun to watch. Bose 5.1 Cabin Surround™ audio system.The CTS Coupe’s interior emphasizes technical precision with elegant, hand-crafted details. The hand-assembled center console leads seamlessly into the center stack, providing a sportier “cockpit” feel for the driver and passenger without compromising space. The interior includes hand-sewn accents covering the door, center storage console and instrument panel trim. Available heated and ventilated seats incorporate “thin-seat” technology for maximum occupant comfort and enhanced rear-seat leg, knee and foot room. Fourteen-way adjustable Recaro sport seats are optional, as is a heated wood steering wheel.The star of the coupe's show is undeniably the CTS-V model. 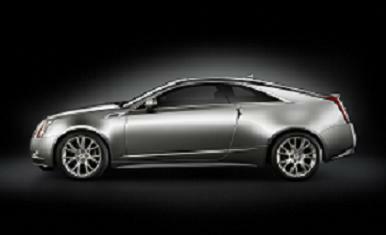 A torrid performer, the CTS-V also is surprisingly quiet and comfortable when driving under normal conditions. The ride is terrific, it handles beautifully, andit is altogether a civilized piece of iron-until you hit the pedal. Then--just hold on! Some of the performance amenities on the CTS-V are Brembo brakes, paddle shifters on the automatic and magnetic ride control. Mileage ratings for the CTS Coupe and CTS-V Coupe are 12/18/18 to 27 miles per gallon. The Coupe is priced from $38,165 to $48,910. 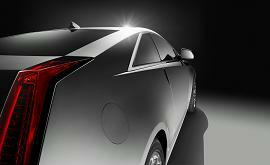 The CTS-V Coupe starts at $62,165. Ninth-generation OnStar technology, which includes significant improvements to the system’s voice recognition software.